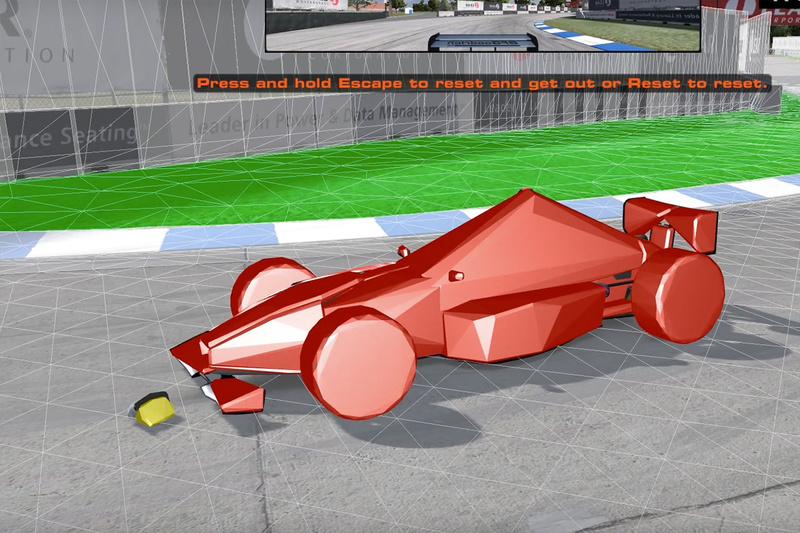 Have you ever wondered how video game designers create realistic car damage? Here we go in depth on how its all done. In the world of racing video gaming, iRacing is sort of the be-all, end-all of the offerings out there. While many start playing the game just for fun, some take the game so seriously that they will invest thousands of dollars in gaming rigs to enhance their experience while they race against others from around the world. The game features different types of racing, from NASCAR to GT to dirt track racing, all of which feature amazingly accurate physics and incredibly detailed graphics. The graphics are one area that really helps pull the competitors into the game and offer them an immersive experience that keeps them coming back for more. Falling under both the graphics and physics headings, iRacing is working hard on how the cars react to crashes, with artists and game engineers both trying to accurately reflect what happens when a car hits another car or the wall and even what happens when you drive through the grass. With as many as 40+ competitors on the track at one time, bumping and banging is bound to happen, and the team at iRacing really wants each bump and bang to be reflected accurately on the cars to heighten the realism, so in the video below, several members of the crew behind the game discuss what goes into making the crash damage so accurate and how they’re working constantly to improve and refine their product. I think it’s time we talk to iRacing about adding a drag racing class to their lineup. I would be more than willing to help with the legwork and could use my contacts within the NHRA ranks to gather intel and get input from the actual crew chiefs and drivers to help refine the physics and make sure the drag racing world was represented accurately. Let’s talk, iRacing! Video: What Happens When You Take An Aussie Championship Spec Holden Commodore Supercar, Add A Handbrake, Wide Body Kit, And Custom Front End Steering? V8 Powered Drift Madness!